Borussia Dortmund have no plans to sell Christian Pulisic during the January transfer window. The 20-year-old has been tipped to leave the German club in 2019, with negotiations over a new contract having evidently hit a stumbling block. 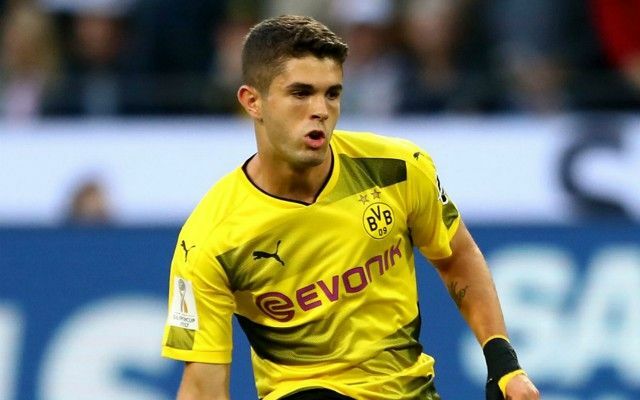 Both Liverpool and Chelsea have subsequently emerged as potential suitors as Dortmund consider their options ahead of the expiry of Pulisic’s current deal in 2020. That said, Dortmund’s sporting director Michael Zorc insists the club remains keen on keeping hold of the USA international beyond the winter. Dortmund’s refusal to sell upon the turn of the year could work in Liverpool’s favour as Chelsea wait to find out if they will be handed a transfer ban. The Daily Mail recently claimed the Blues were eager to wrap up a deal as soon as January in fear of punishment over a FIFA investigation into the club’s signing of foreign U18 players. Jurgen Klopp is known to be a long-term admirer of Pulisic following their brief time together during the latter stages of his spell in charge of Dortmund. The Liverpool boss tried to sign him as a teenager back in 2016, seeing an £11million bid rejected amid his rise as one of Europe’s hottest prospects. Despite his glowing reputation, Pulisic has managed just four league starts for the Bundesliga leaders so far this season having recently fallen behind Jacob Bruun Larsen and Jadon Sancho in the pecking order.